Number of championships: AC Milan won the Serie A (Italy's First Division) 18 times and the Serie B (Second Division) two times. Number of Cup wins: Coppa Italia – 5 times; Supercoppa Italiana – 6 times; UEFA Cup Winners Cup – 2 times; UEFA Super Cup – a record 5 times; Intercontinental Cup – 3 times; and the FIFA Club World Cup 1 time. UEFA Champions League wins: 7 times. * Book Official AC Milan Tickets Now! * AC Milan Tickets Have High Demand, Don't Miss The Opportunity. * AC Milan Tickets Are 100% Guaranteed. 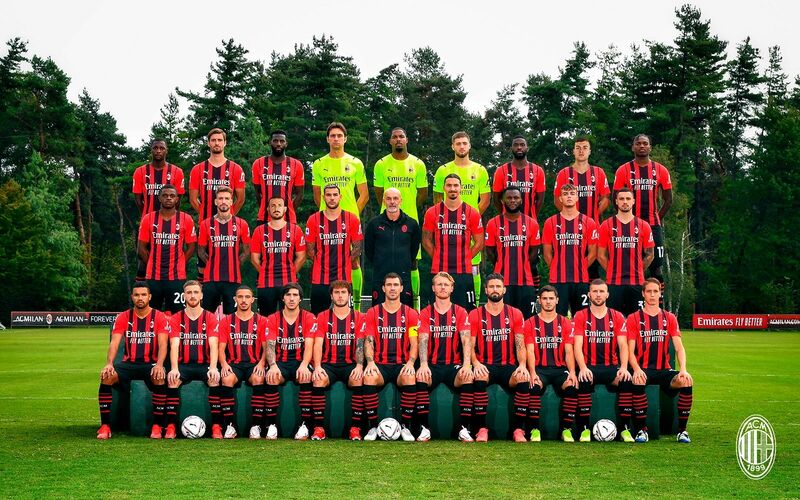 Associazione Calcio Milan, but more commonly called A.C. Milan or simply Milan, are an Italian professional football club based in Milan, Lombardy. AC Milan was founded in 1899 and was named the "Milan Foot-Ball and Cricket Club" as the club included a cricket and a football section. A year after its formation, in 1900, the team won their first trophy (the “King’s Medal”) and later went onto win three national leagues, in 1901, 1906 and 1907. The 1901 victory was particularly poignant because it ended the consecutive series of wins of Genoa, which had been the only team to have won prior to 1901 – a huge success for the new team. However, in 1908 there were issues over the signing of foreign players, which lead to the split of the team into AC Milan and Inter Milan. In 1919, the team changed its name to "Milan Football Club", which changed again 20 years later in 1939, after the fascist regime imposed a new Italianized name, "Associazione Calcio Milano", for the team. However, that name was partly abandoned after World War II, but maintaining the initial part: the team was called "Associazione Calcio Milan", which remains the club's current official name, but typically shortened to "AC Milan". After the war, Milan was among one of the top three teams in Italy. The 1950s saw the team win the Italian Championship (1951) – the first time since 1907. After the 1951 victory, AC Milan won another three Serie A seasons, in 1955, 1957 and 1959, and two Latin Cups, in 1951 and 1956. Between the 1947–48 and 1956–57 seasons, Milan always finished amongst the top three clubs in the league table, crowning them one of the best teams in the country. The 1960s spelled more success for the team, as they won the football league in 1961-62, and won their first European trophy - the UEFA Champions League - the following year, making them the first Italian team to win. But even though the team were playing well in the early years, Milan won fewer trophies throughout the 1960s, due to the heavy competition of Helenio Herrera's "Internazionale" (Inter Milan) - the team’s arch rivals. It wasn’t until 1967-68 that the team won the League and the UEFA Cup Winners’ Cup. The next season (1968-69), Milan won its first Intercontinental Cup. Success continued in the 1970s, when Milan won three Coppa Italia titles, and its second Winners’ Cup during the 1972-73 season. A strong 1972–73 season provided their first opportunity for their 10th League win, but they were pipped at the post on the last day of the season. Milan didn’t win the 10th until 1978-78, but unfortunately things turned sour a few years later, when the club got relegated to Serie B, in 1979-80, due to a betting scandal. But it wasn’t long before the team were back to the top-flight league. However, once returning to Serie A, Milan suffered its worst season ever (due to financial troubles) and were relegated once again in 1981-82. The team was bought in 1986 by Silvio Berlusconi, who appointed Sacchi as the team’s new coach. Sacchi turned the team around and Milan went on to win the 1987-88 League, and the next season Milan won its third European Cup and its second Intercontinental Cup. The 1990s saw continued success for the team, repeating their International Cup victory and earned their second Intercontinental Cup in a row – and their third overall. They also won the League three consecutive times, from 1992 to 1994, and reached the Champions League final for the third time in three years. They even had a 58-match run with no defeats too. But the 1996-97 season was a disaster for the team, where they struggled under their new manager. They were winless in their opening matches and suffered their worst Serie A defeat, losing 1-6, resulting in the team finishing in the 11th spot. Their next trophy wasn’t until 1998-99, when the club won the League for the 16th time. The 2000s looked up for the team, when they came third in the Serie A and became champions of Europe once again in 2002-03; won the Serie A and reached the quarter finals of the Champions League in 2003-04; came 2nd in Serie A and 2nd in the Champions League in 2004-05; came 3rd in Serie A and made the semi finals in the Champions League in 2005-06; came fourth and won the Champions League in 2006-07; came fifth in Serie A and won the FIFA Club World Cup in 2007-08; came third in Serie A in 2008-09; and came third in Serie A again in 2009-10. What is Inter Milan’s Most Successful Period? The most successful period for Inter Milan was after the signing of Roberto Mancini. His appointment resulted in a number of wins and record-breaking results for the club, including a 17-game winning streak, which is among the best in European league football. However, 2009-10 also was a good time for the team, when they won The Treble for the first time. How to Buy AC Milan Tickets on Ticketgum? Pick out an AC Milan game from the home and away selection above. Choose a seating option, and how many tickets you would like. Receive your AC Milan tickets and enjoy!